Brazil has the greatest variety of animals of any country in the world. It is home to 600 mammal species, 1,500 fish species, 1,600 bird species, and 100,000 different types of insects. 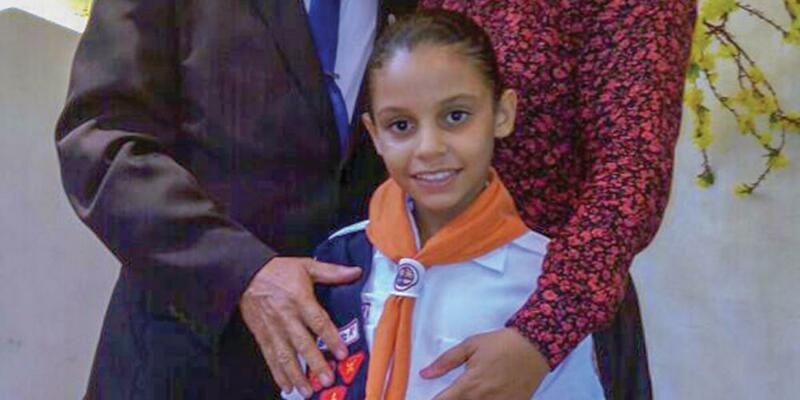 Eight-year-old Beatriz Silva Souza didn’t pick up her toys or help her parents around the house in Aracaju, Brazil. Then there was homework. Oh, how she didn’t like to do her homework! Mother had heard about the Seventh-day Adventist Church on the radio, and she wanted to learn more. Before leaving the house, she invited Father to come, too, but he shook his head. Beatriz liked the church. The adults and children were friendly. They invited her to join the church’s Adventurers club, and she eagerly agreed. She proudly wore her new uniform of a blue skirt, white blouse, and orange necktie. Soon Mother gave her heart to Jesus and was baptized. After a while, Father noticed something different about Beatriz. When she woke up in the morning, she immediately made her bed. Her toys were always in their place, and she cleaned and organized her closet and dresser drawers. After school, she did her homework without being told. Every day she swept all the floors. After supper, she carried the dishes to the kitchen, washed them, and put them away. “I learned at Adventurers that I need to help my parents,” Beatriz replied. Then Father thought about his own life. He wanted God to change him, too. He drank alcohol nearly every day, and he couldn’t seem to stop. When Father saw that Beatriz was helpful for an entire month, he realized that he really had a new daughter. She was a new person. He asked for Bible studies at the church. Even as he studied the Bible every week, he couldn’t stop drinking. Then he read Jesus’ words in John 8:36, “Therefore if the Son makes you free, you shall be free indeed” (NKJV). Father was baptized in September 2017, seven months after Mother. Beatriz wept with joy as she saw her father coming out of the water. Mother was happy, too. “Now, me and my house will serve the Lord,” she said. From the moment Father was baptized, he never wanted to drink again. Part of this quarter’s Thirteenth Sabbath Offering will help open a new church building in Beatriz’s hometown, Aracaju, Brazil. The church building where Beatriz and her family worship is too small, and the money will go toward a larger building.